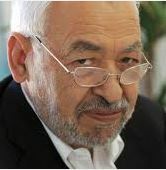 Rashid Al-Ghannouchi, 71 years, was co-founder of the Ennahda Movement which is now Tunisia’s largest political party. A philosophy graduate of Damascus University, he moved to Syria following the expulsion of Tunisians from Egypt where he was studying in 1964. A writer of the first order, Al-Ghannouchi has had enormous influence in religious and political thought throughout the region. In 1981, Al-Ghannouchi founded Islamic Tendency which was defined by non-violence and called for a more equitable society, political pluralism and democracy. Within months he was arrested, tortured and imprisoned. He would become a political exile in Europe and vocal opponent of the regime at home. A key figure in Tunisia’s post Arab Spring democratic transition, Al-Ghannouchi was instrumental in allaying fears that the void would be filled by radical Islam. He offered a vision of an inclusive political movement but one that was rooted in Islam. After election success he proposed a secular partner as president (Moncef Marzouki – one of our Autumn 2012 Heroes) and took no office for himself.